the place i'm describing is not new, in fact i think it has been mentioned numerous times before. The only thing that is new (afaik), is that the place has become a very profitable way of making gold for mages since 5.04 as well! Currently it beats the stonetroggs by a good 300 cloth! Extremely easy, just spam Arcane explosion untill your fingers bleed. 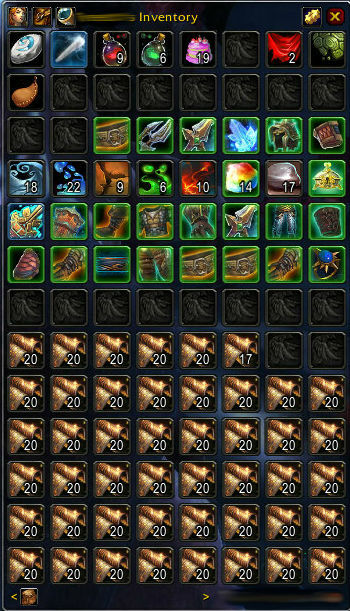 Based on a good 15 hours of grinding i think it's safe to say that you will collect : 50+ random volatiles / 900+cloth / 1 or 2 lockboxes / 500g in vendortrash / 20-ish greens and some elementium and pyrite ore. Per hour!! With MoP coming and possible raised demand for embersilk bags ahead this is a good way to either sell now or stockpile for later. edit: I have to adjust the numbers i estimated. The estimate is based on an hours worth of grinding without glyph of evocation. With glyph of evocation i pull a steady 1000+ cloth per hour because of the shortened downtime. Either the temporal shield or ice barrier talent (i got temporal shield) - for survivability and lesser downtime. Optional, a vendormount can help save bag space and vendoring grey trash is quite profitable as well. Buff yourself with molten armor (survivability) and Arcane brilliance and mount up. Drop down at spot 1, spam Arcane explosion while running for spot 2. Evocate/heal up (conjured food ftw) and repeat! Mobs are back faster then you can heal. 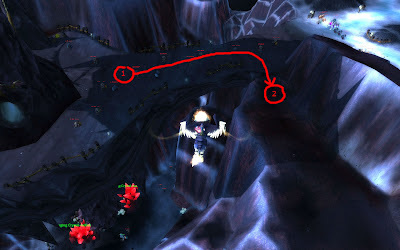 If you feel up for it, and your ilvl is higher, you can try to pick up mobs further away then spot "1" I'm comfortable at 900/hour and less comfortable dead! When you got the hang of things and competition spoils your fun, you can fly over to the exact opposite of the trogg structure where there is a resting place as well. this spot is just a little harder and you have to work more carefully.